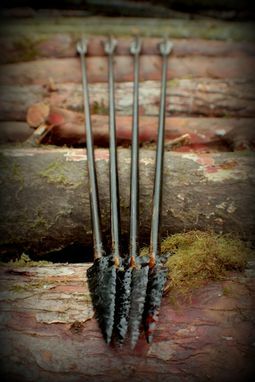 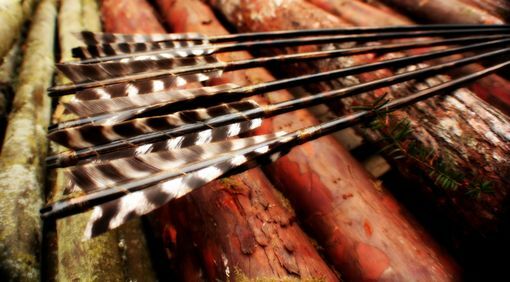 These arrows are crafted from all natural materials right down to the sinew and hide glue wrapping! 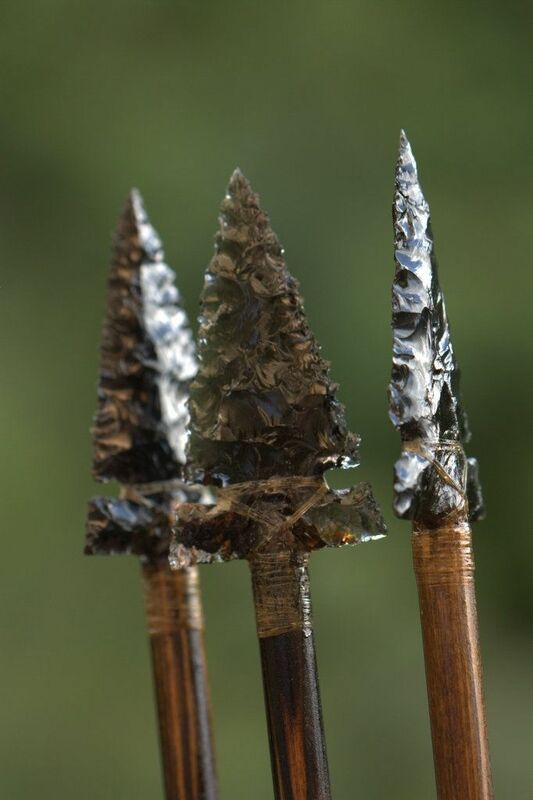 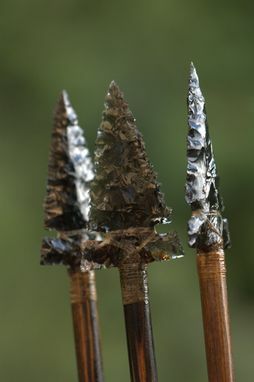 The old-growth douglas fir shafts are fletched with turkey feathers and sinew, and tipped with sharp obsidian stone points. 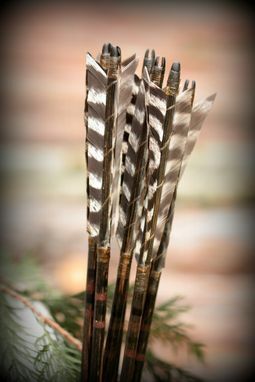 Sold in singles or by the 1/2 Dozen.